For everything you may wish to know about how to look after your pool, whether to maintain a safe bathing environment for your whole family, the appropriate water balancing requirements to ensure that the lifespan of the pool surface is extended as long as possible, or how to deal with the various strains of algae that may have infested your pool, click on learn more below. 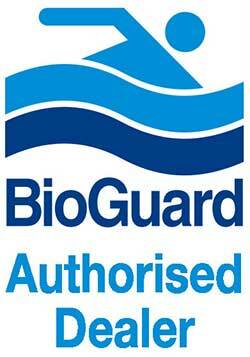 We are an appointed, authorised BioGuard dealer. Stockists of the superior BioGuard Pool & Spa range of chemicals supplied in conjunction with the comprehensive and professional ALEX BioGuard Computerised Water Analysis system (software specifically written for the BioGuard’s range of Pool & Spa products) and offered to you free of charge. Water chemistry balancing is critical to the health of both bathers and the pool surface, whether marble or fiberglass. The sanitization of the water is critical to the prevention of bacterial infections to bathers and the prevention of algae growth. BioGuard offers specialized programs to combat the above. For all you need to know about the BioGuard range of Pool & Spa chemicals, click on learn more below.